An Invitation To Artists! We’re Launching The MAAG Breakfast Club Thurs. Oct. 13 @ 9:00 am! Have you ever noticed that the people you most relate to are in the arts? Remember the artist cafes in Paris? Well, neither do we! But we heard they were cauldrons of creativity and support. So, fellow artists, let’s stir up the pot and get cookin’ with art, philosophy and general mischief. Meet your peers. All present at the initial gathering will help determine the course of the group. Do we present techniques or ideas to each other, invite guest lecturers, do artists “crits” or simply shmooze? Each of you is encouraged to invite artists, both members of the Mt. 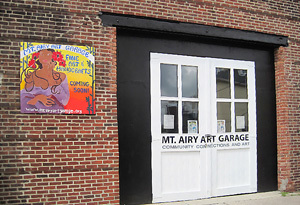 Airy Art Garage or not, to join in the creation of Philadelphia’s newest ART SALON—The Mt. Airy Art Garage Breakfast Club. Please bring some breakfast to share, whether coffee or other goodies. 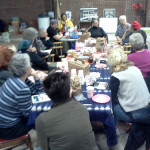 We will meet each month on Thursdays, from 9 –10:30 am at the Mt. Airy Art Garage, 11 West Mt. Airy Ave. Admission is free. See you there! 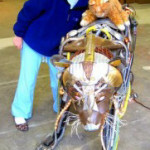 http://mtairyartgarage.org/wp-content/uploads/2011/10/IMG_3917.jpg 205 300 Arleen http://mtairyartgarage.org/wp-content/uploads/2016/06/maag-in-action_main-1024x274.png Arleen2011-10-08 21:37:052019-01-30 15:26:37An Invitation To Artists! We're Launching The MAAG Breakfast Club Thurs. Oct. 13 @ 9:00 am!